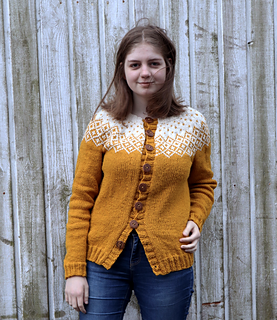 After making the Bohéme sweater I also wanted to make it as a cardigan, so here it is! 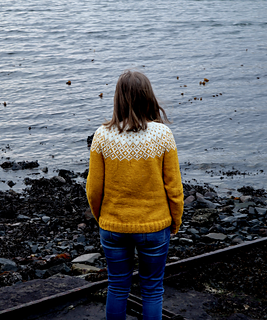 The pattern is the same as in the Bohéme sweater, inspired by an over 100 years old pattern from the Faroe Islands, which I have altered to my liking. The cardigan is knitted in the round and cut using steek. Needle size is US 7 (4.5 mm) and US 8 (5 mm). It is written in Danish and English using metric measurements and US measurements.